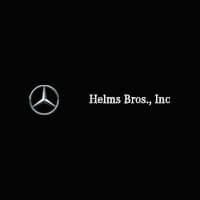 Welcome to Helms Bros Automotive Finance Center! Our Drive is to Finance Yours. At Helms Bros, we offer flexible and attractive financing solutions to individual leasing offers and the right insurance on all of our great selection of new and used vehicles. Our finance experts are here to guide you through the financing process and help you get into the car of your dreams. Contact Helms Bros’s finance team today or if you’re ready to start the financing process, you can fill out our secure finance application online and we will help make your dream a reality!